Panasonic has launched the Lumix DMC-ZX1, incorporating the world’s first 0.3mm aspherical and spherical lens elements. The super-zoom compact with an 8x optical zoom lens starting at a wide 25mm equivalent, features a 12.1MP sensor and and 2.7 inch LCD. It includes Panasonic's latest Power OIS image stabilizer that the company says offers twice the shake suppression capability of the previous Mega OIS stabilizer. 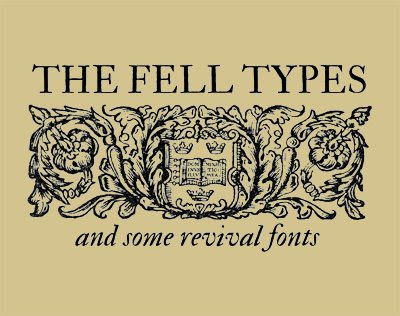 The Fell Types take their name from John Fell, a Bishop of Oxford in the seventeenth-century. During his life he collected an exquisite selection of printing types from all over Europe for use on his printing presses. Visit Igino Marini's website for "a non-exhaustive history and a modern digitalization of some of them". 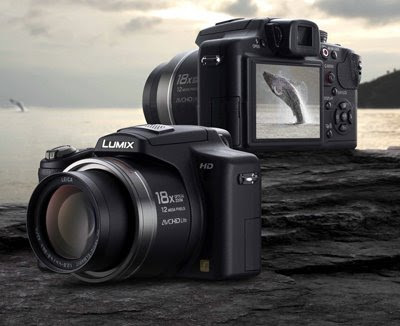 Panasonic has released the Lumix DMC-FZ38 super-zoom digital camera with AVCHD lite HD video recording. 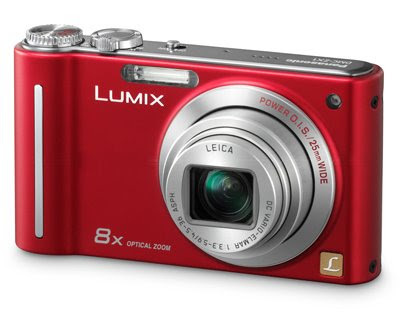 Successor to the DMC-FZ28, it features an 18x optical zoom lens (27- 486mm equiv. ), the new Power O.I.S image stabilizer and a faster Venus Engine HD processor. The 12.1 MP camera also features a Quick AF system that claims to be twice as fast as the DMC-FZ28. 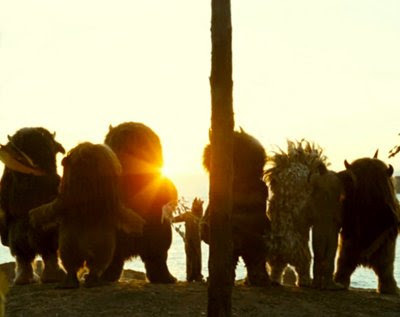 Apple Trailers has released a clip featuring the author Maurice Sendak explaining (amongst other things) why he has waited this long to allow his book to be made into a film. 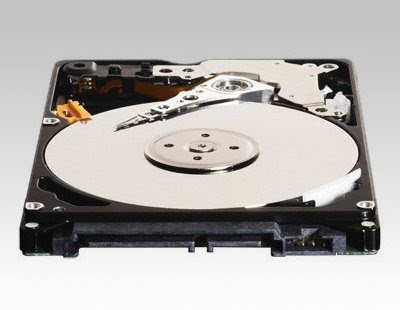 Western Digital has announced the world's first 1TB 2.5-inch drive, a 3-platter Scorpio Blue. It is priced at €205, with a 3Gbit/s SATA interface and have various WD technologies to run quietly, park heads when not in use and withstand shocks. Brett's 2p'orth: It is a 12.5mm unit, which means it won't fit into most Apple laptops, although some sites report that they can be squeezed into the latest 17" models. 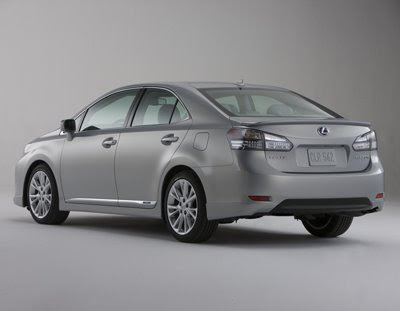 Lexus' HS250h is the first model in the Lexus line-up that will be available exclusively as a hybrid. It's not available in Europe yet, but the US version is powered by a 2.4 litre, 147bhp petrol engine, supplemented by a an electric motor connected to a 400V NiMH battery in the boot that can boost the power output to 187bhp. 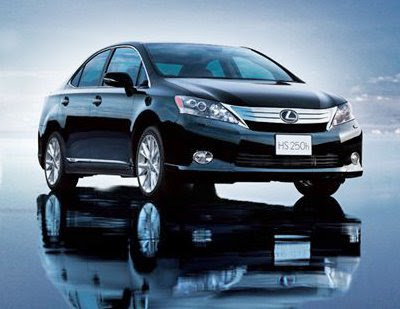 Lexus claims the HS250h produces 30 per cent better fuel economy than anyee other model in its range. 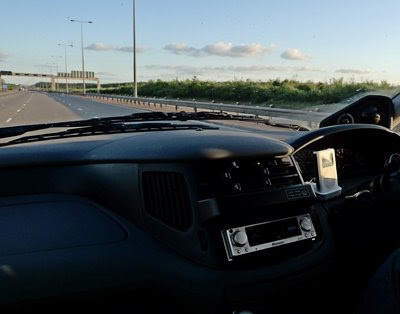 The electric-only performance is limited to when the battery has at least 50 per cent charge and when the car is moving at less than 20mph. 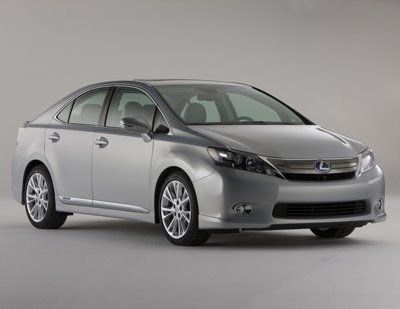 The publicity pictures indicate that the designers have tried their best to make it look less dowdy than the Prius, however some of the less Photoshopped press-releases reveal that it is still no BMW 3-series. Digital Photography Review have an in-depth review of Panasonic's latest video-capable micro four thirds DSLR. "the 'only' really big news on the GH1 is the HD video mode. However, it's fair to say that this is the best implementation of video on a 'non-compact camera' that we've seen so far." "The contrast detect auto focus, especially in combination with the new 14-140mm lens, has been optimized for video operation as well. It's much quicker than on DSLRs and actually very usable, which makes the GH1 a much better all round video camera than any of the video DSLRs..."
"The GH1's biggest problem though could be its suggested retail price of $1499.95 (including the 14-140mm kit lens)"
"No matter if you're coming from a compact or DSLR, the entire user interface including menus has an intuitive and concise design and within a few days of shooting with the GH1 you'll know your way around the camera very well..."
"At default settings and at low sensitivities the GH1 produces consistently high quality out-of-cam without a need to alter any of the image parameters. 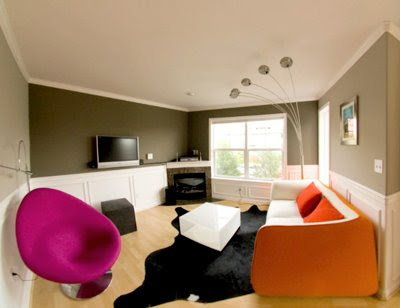 The JPEG output shows natural tones and colors and is free from any kind of processing artifacts. Detail is even slightly better when shooting in RAW." "Its high ISO images show an appealing balance between noise reduction and detail retention. At ISO 1600 noise starts to kick in much more aggressively (especially 'bands' of chroma noise in the shadows) but even the ISO 3200 output is still usable for smaller prints or web albums." 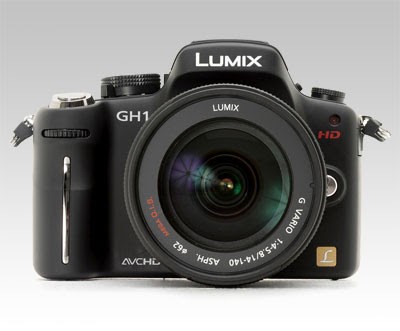 "The GH1 offers the same ease-of-use and solid image quality as its sister model G1. On top top of that you get the best implementation of a HD video mode that we have yet seen on a large sensor camera. You pay a fairly hefty premium for this feature, but for anyone who is planning to make good use of the camera's motion picture capabilities, the GH1 has to be highly recommended." 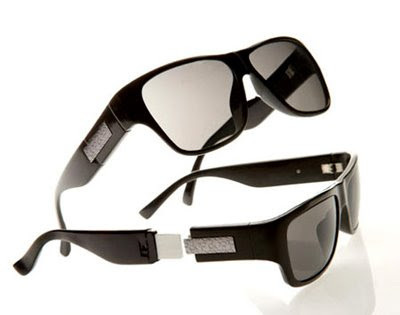 Upmarket clothing brand Calvin Klein has designed a pair of sunglasses with a detachable arm concealing... a 4GB USB Flash drive. If you’re looking for a stylish - or covert - way to carry around pictures, documents or sketches of next season’s catwalk designs, then Calvin Klein’s USB sunnies will be in posh stores from October for $200. 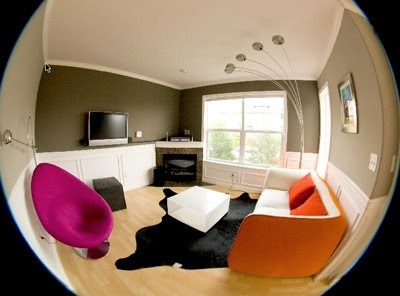 Any projection of a 3D scene into a wide-angle image results in distortion. Current projection methods either bend straight lines in the scene, or locally distort the shapes of scene objects. We present a method that minimizes this distortion by adapting the projection to content in the scene, such as salient scene regions and lines, in order to preserve their shape. Our optimization technique computes a spatially-varying projection that respects user-specified constraints while minimizing a set of energy terms that measure wide-angle image distortion. 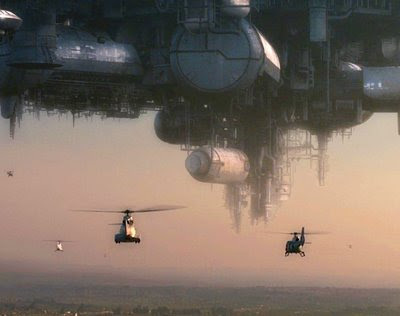 View a demo movie here. 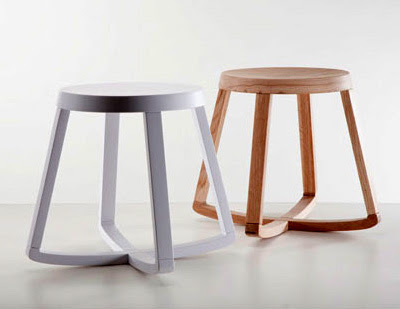 Yiannis Ghikas has designed the amazing Monarchy Rocking Stool, designed to rock forwards and from side-to-side, swivelling without turning over. 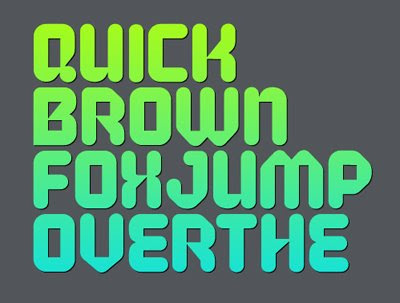 "applicable for any type of graphic design – web, print, motion graphics etc and perfect for t-shirts and other items like logos, pictograms." 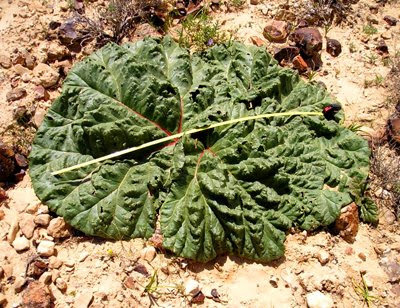 Ecologists had been puzzling over the desert rhubarb for years: Instead of the tiny, spiky leaves found on most desert plants, this rare rhubarb boasts lush green leaves up to a meter wide. Now scientists from the University of Haifa-Oranim in Israel have discovered that ridges in the plant’s giant leaves actually collect water and channel it down to the plant’s root system, harvesting up to 16 times more water than any other plant in the region. When all else fails, hit it! Your old-school iPod has been working fine for years. But one day you try to wake it from sleep, and it reboots (without the backlight) to reveal the above 'sad mac' icon. 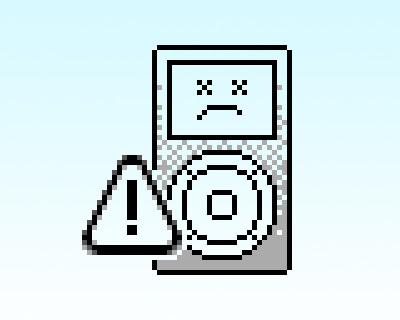 This icon indicates that there is a hardware failure. If you are able to force iPod into 'Disk Mode' (click here for more info) then it may not be a hardware issue, and you should try to restore your iPod with the latest software. 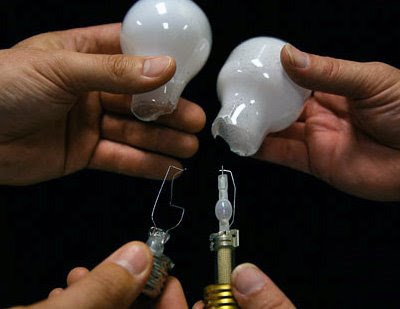 However if this doesn't work, there is a simple trick that has a very high success rate. Grip the recalcitrant iPod firmly in one hand and slap its stainless steel back hard against a firm but resilient surface (a magazine placed on a kitchen worktop is ideal). The best guess is that it reconnects a loose hard drive connection. What I know for sure is that it has resuscitated my 60GB iPod Photo on more than one occasion. 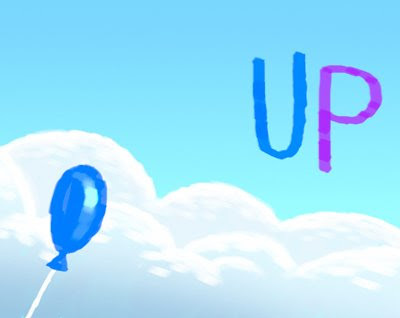 Full trailer now available at Yahoo!. The 'right' way to peel a banana. Thanks to Jason Clark for the link. 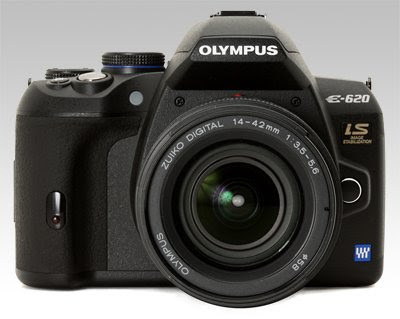 Digital Photography Review have published an in-depth review of Olympus' latest Four Thirds format camera. "The Four Thirds range has tended to lag a fraction behind the best contemporary APS-C sensor-size DSLRs in terms of absolute performance... this isn't the case with the E-620 - however you look at it, it's up there with the best of them. Built-in Image Stabilization gives it an edge over its rivals if you're buying additional lenses." "...the E-620 is a well thought-out and laid-out camera that sits comfortably in the hand. The interface has also been well designed..."
"The E-620 is pretty small in DSLR terms, but... it's not tiny." "...its ability to deliver great images, straight out of the camera hits the spot precisely... from an aesthetic point-of-view, the output is all that you'd want from a camera at this level - bright, punchy and consistent." 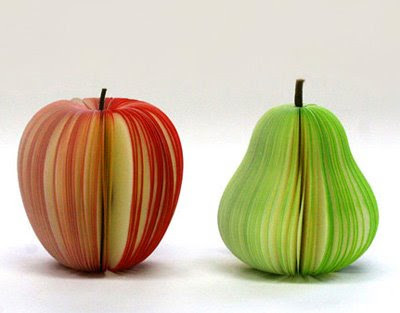 Fruit-shaped sticky notes that you can buy individually or in "crates" of six [Japan only, Ed.]. More info & pictures here. Google is developing an operating system (OS) for personal computers, in a direct challenge to market leader Microsoft and its Windows system. 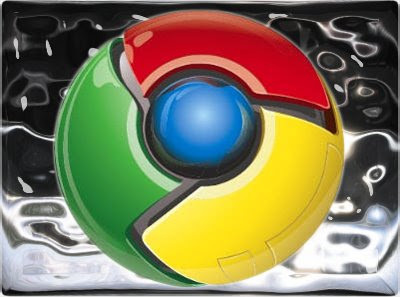 Google Chrome OS will be aimed initially at small, low-cost netbooks, but will eventually be used on PCs as well. Google said netbooks with Chrome OS could be on sale by the middle of 2010. The operating system, which will run on an open source license, was a "natural extension" of its Chrome browser, the firm said. "We're designing the OS to be fast and lightweight, to start up and get you onto the web in a few seconds," said the blog post written by Sundar Pichai, vice president of product management, and Google's engineering director Linus Upson. 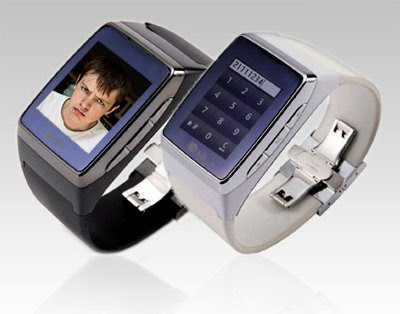 The LG Touchscreen Watch Phone – also know as the GD910 – will be sold by Orange in the UK for a 'limited time period'. Orange said that the 'handcrafted' device will be available 'at an exclusive price point' – which is undoubtedly code for 'expensive' – on either pay-as-you-go or SIM-only options. An integrated camera lets the GD910’s wearer make video calls over a 3G connection of up to 7.2Mb/s. The device also features voice recognition, text-to-speech functionality, Bluetooth, an MP3 player and 1.4" touch-sensitive screen. The green and blue spirals are the same colour. For a full explanation, visit Discover Magazine. Viewing videos on your smartphone's tiny display may soon be supplemented by the ability to project onto a screen, wall, or even a friend's shirt. 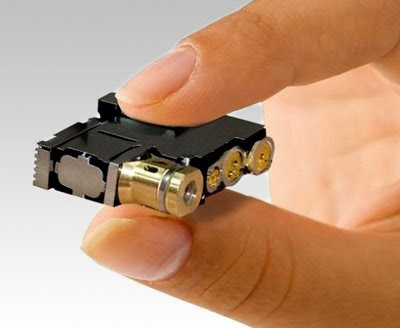 According to a report on Monday by Taiwan-based market-watcher DigiTimes, mobile-technology-and-more manufacturer Foxlink has begun manufacturing tiny projectors commonly known as pico projectors and is working with "a handset client from Europe" to get those projectors into products as early as the end of this year. The DigiTimes report also claims their sources told them that Nokia, Samsung, and Apple all "plan to launch handsets with built-in micro projectors by the end of this year." There's no independent confirmation of this rumour, but it's interesting to note that Foxlink's parent company, Foxconn, builds Apple's iPhone and has manufacturing ties with Nokia. Microvision's ShowWX has the advantage over other pico-projector designs of not needing a focusing lens. The report did not mention which technology its sources claim that Foxlink is using for its pico projector. Lou Romano has posted a pile of fascinating images produced during the development of Pixar's latest movie.